I’m so excited to see that this blog has gained a little following! I’m thrilled that I can share all my crazy projects with you and I love the comments and feedback as well as the ideas that you all are having for your own projects! I would LOVE to see your versions these projects and would love to post them on here for others to become inspired! Cost: $2-$10 depending on if you’re lucky enough to find the clay in the $Dollar Store or at the craft store (its about $6.50). Sculpey Ultra Light clay. I only found it in white, which worked great for my since I ended up watercoloring it at the end anyway. Thumb tacks. I used white headed tacks. 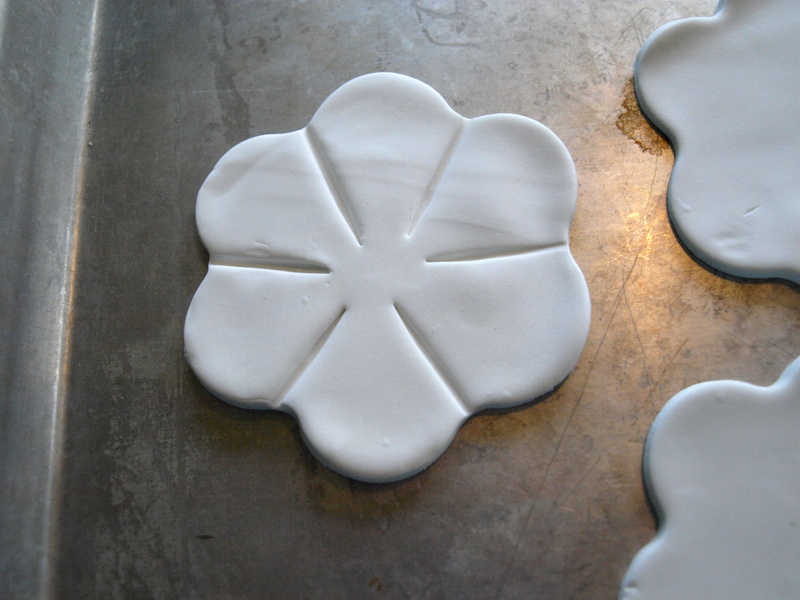 Flower cookie cutter. I got mine at the $Dollar Store in a pack of 5 different cookie cutter designs. 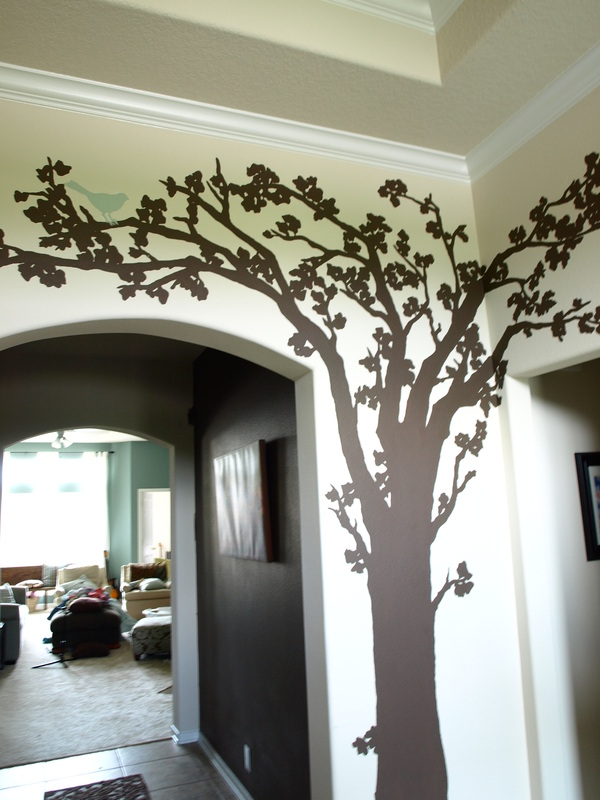 Acrylic craft paint in desired color (optional). Paint brush and water cup. Most of this stuff you most likely have in your kitchen besides the clay. I believe that Walmart also carries this clay in their craft section so check that out if you don’t have a craft store nearby. Are you ready? Lets make some flowers! Lay a couple feet of tin foil out onto a table. Knead the clay in your hands to soften it and make it pliable. 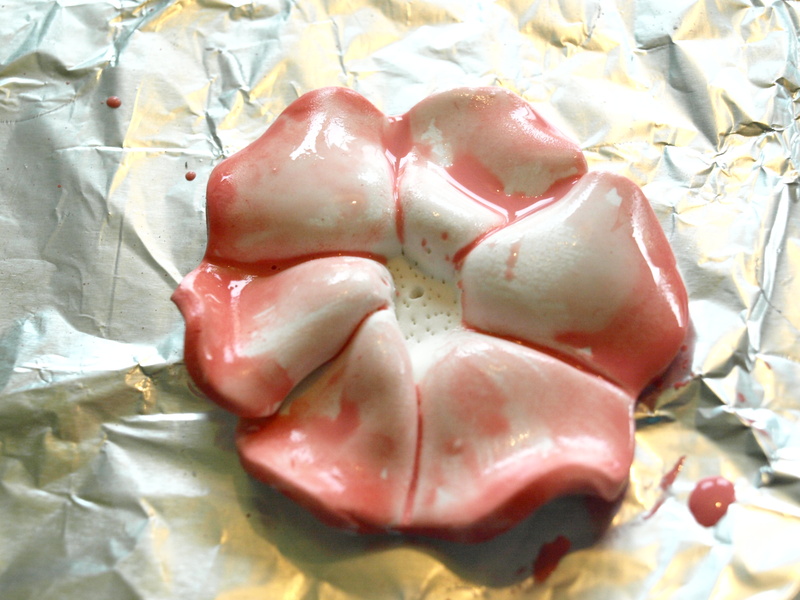 I only used less than 1/2 of the clay in the package to make 9 flowers. Use as much as you want! 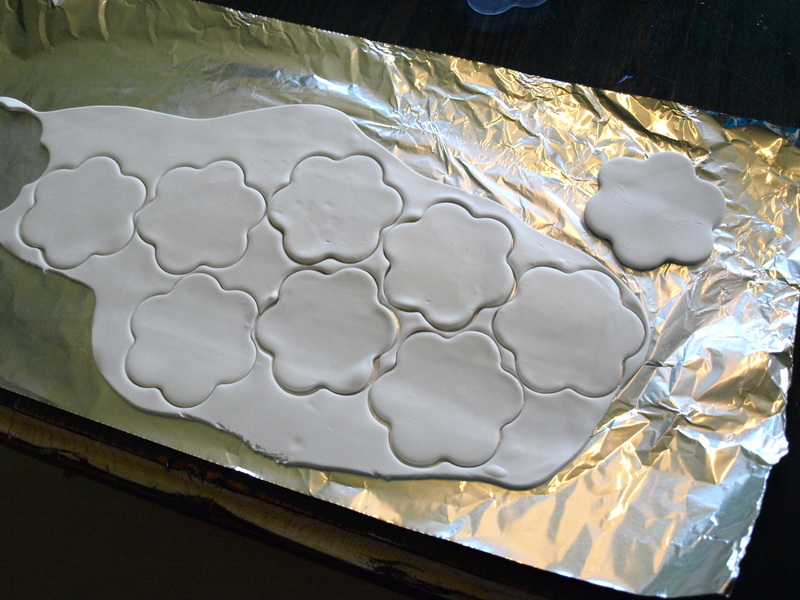 You can even vary the flowers shape and size if you have more than one flower cookie cutter. Get creative and explore your options! Form the clay into a ball and roll it out with a rolling pin (I have a silicone rolling pin that didn’t have a problem sticking but I’m not sure if the clay would stick to a wood one. If so, you can spread the clay out with your hands) to about 1/4 inch or so. It doesn’t have to be consistently a 1/4 inch, but try to make it somewhat even. 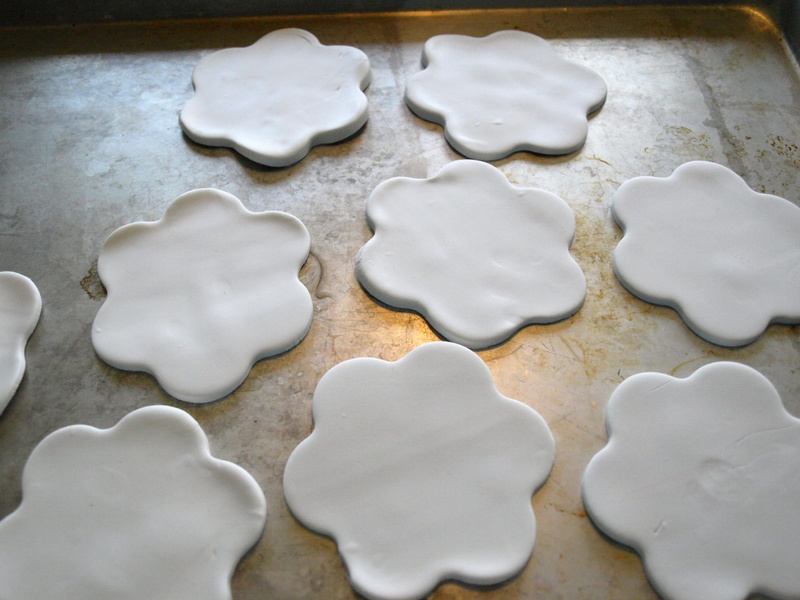 Grab your flower cookie cutter and begin cutting out your flowers like you would with sugar cookie dough. 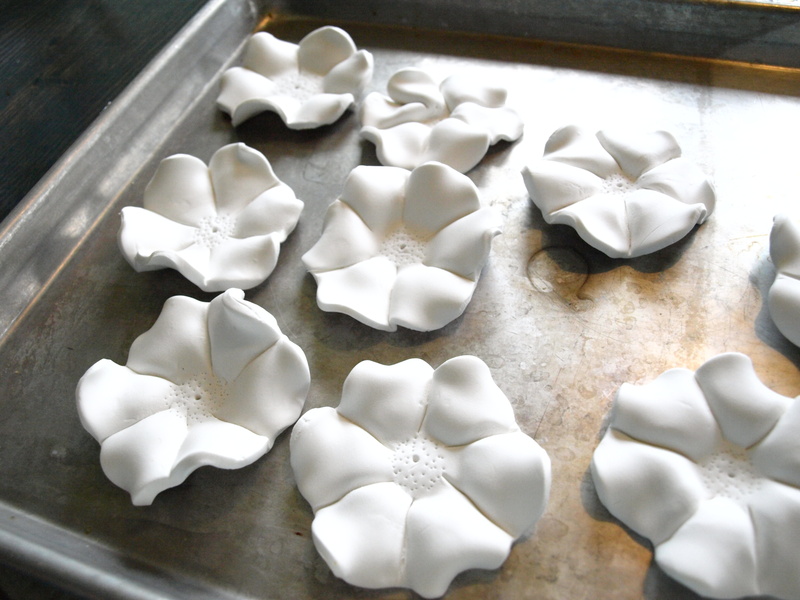 Peel away the extra clay and carefully transfer your clay flowers to your baking sheet. Take a toothpick and press lines halfway into the clay where the petals would be separated. You just want to make indentions with the toothpick, not separate petals. 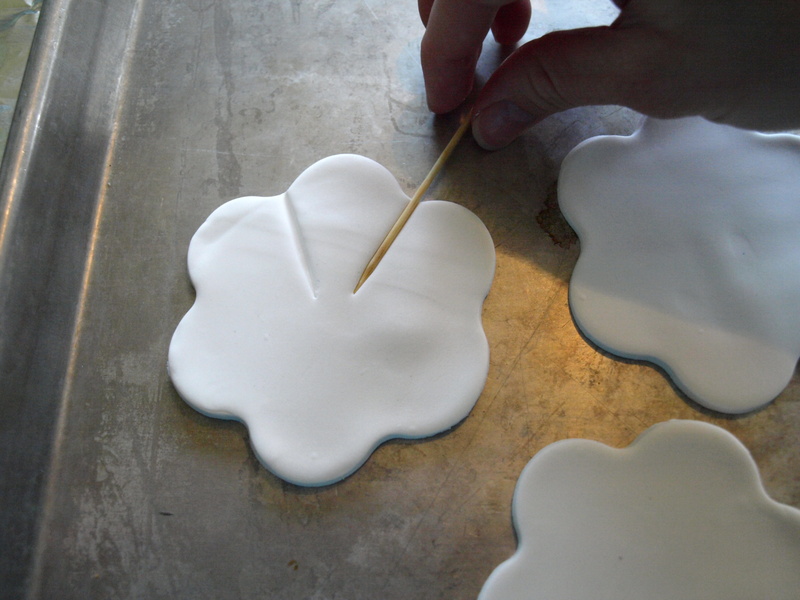 This way the flower stays sturdy but you’re able to shape it a bit easier. Poke a hole through the center of each flower with your toothpick. This is where the push-pin will go when they’re done and ready to be hung up. 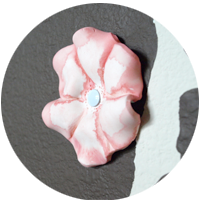 I also made small dots around the center of my flower but found later that the push-pin covers most of this detail, but you can add it if you’d like. 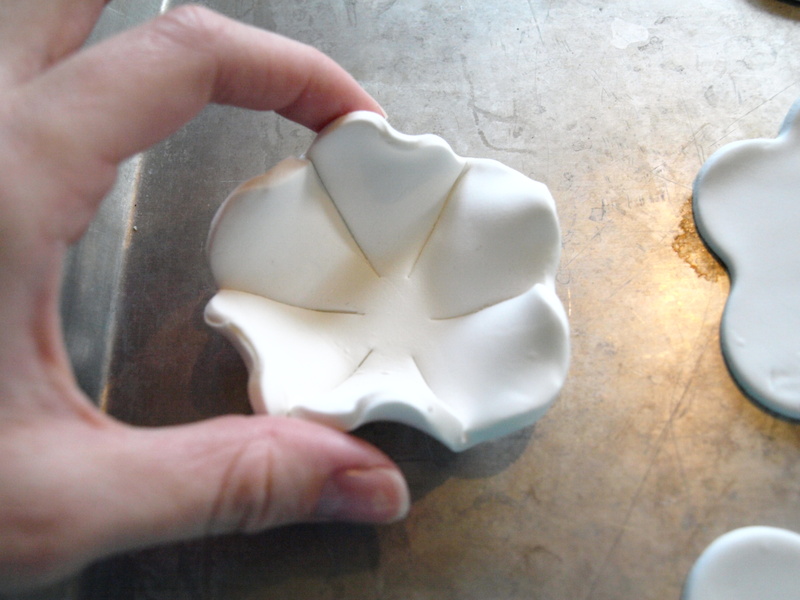 Bake your pan of flowers in your oven according to the clay package recommendations. Once the flowers have baked and cooled you can do lots of different things. Here are some ideas: You can leave them alone and white and hang them up; you can spray them with a high-gloss spray enamel to make them more modern and chic; you can spray paint them a color to match your decor; you can use glitter-glue to highlight the petals for a cute little girl’s room; you can “dye” them with a tea-bag dye to make them old and weathered looking; OR you can do what I did and use your acrylic craft paint and water to give them a watercolored look. If you’re going to do the last option, READ ON! If not, have fun creating your own flower pins anyway you’d like! 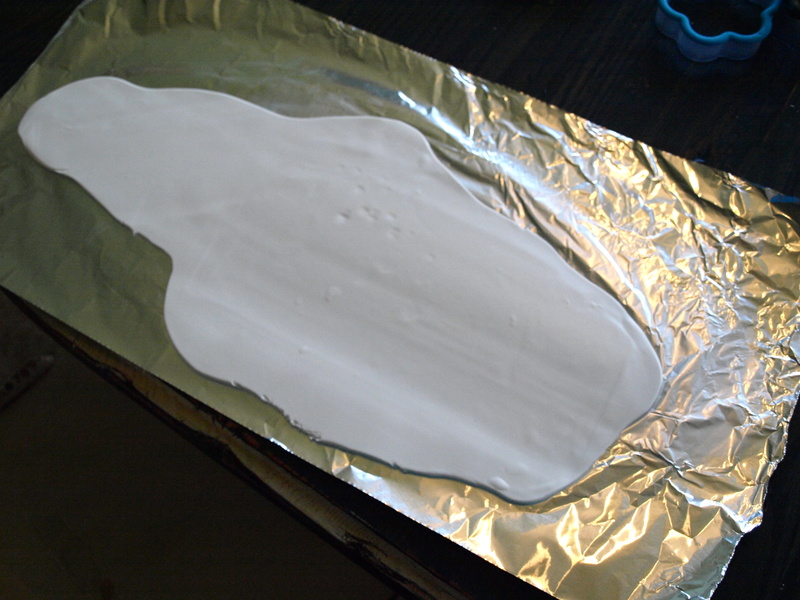 Make a “paint pallet” by covering a plate in foil and squirting your paint color onto it. Dip your brush in water and water down your acrylic paint to the desired consistency. Paint your entire flower with your watery paint. 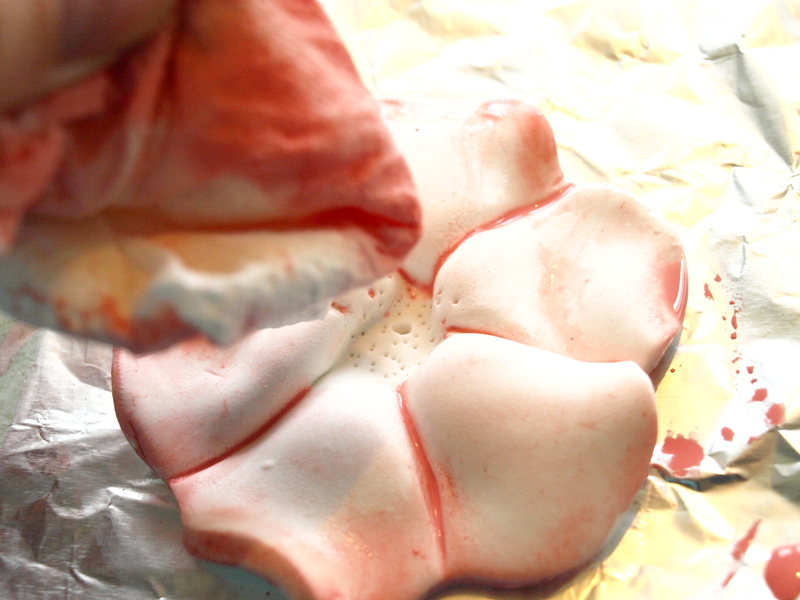 With a paper towel, blot and wipe the flower from the center out a bit to remove some of the paint toward the center. 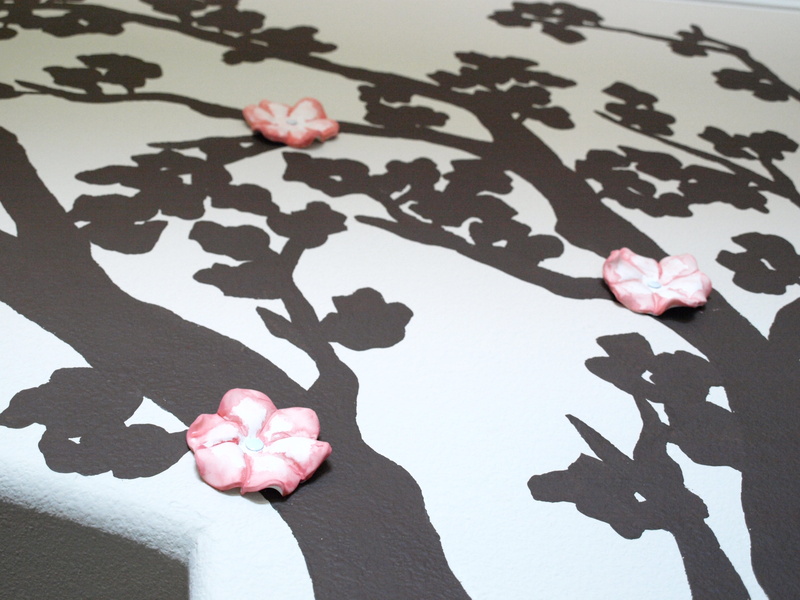 Leave a generous amount of the paint in pools along the edges of your petals. Touch up the edges by adding paint if needed. 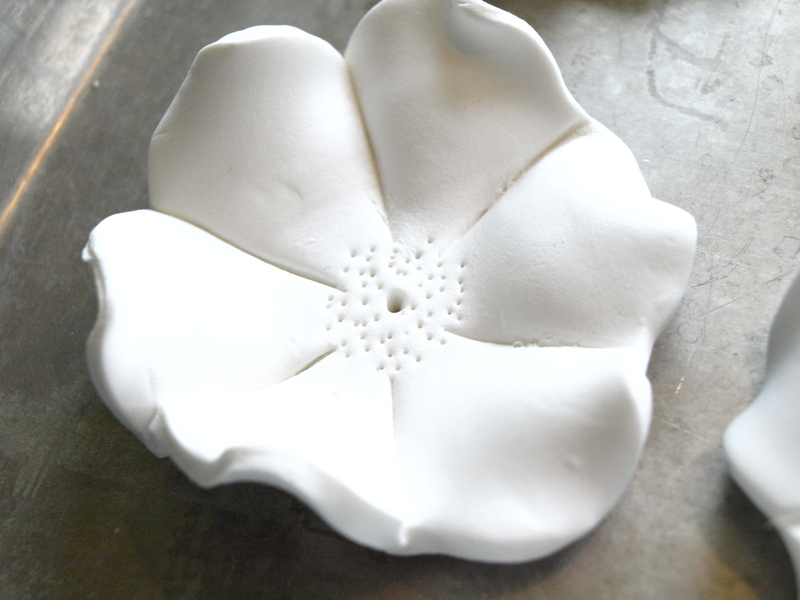 Insert the push-pins through the hole in the flowers center (NOTE: When rolling out your clay for your flowers, be sure to measure how thin to roll it out against your push-pin as you will need for a good portion of the pin to be coming through the back of your dry flower in order to adhere it to the wall). 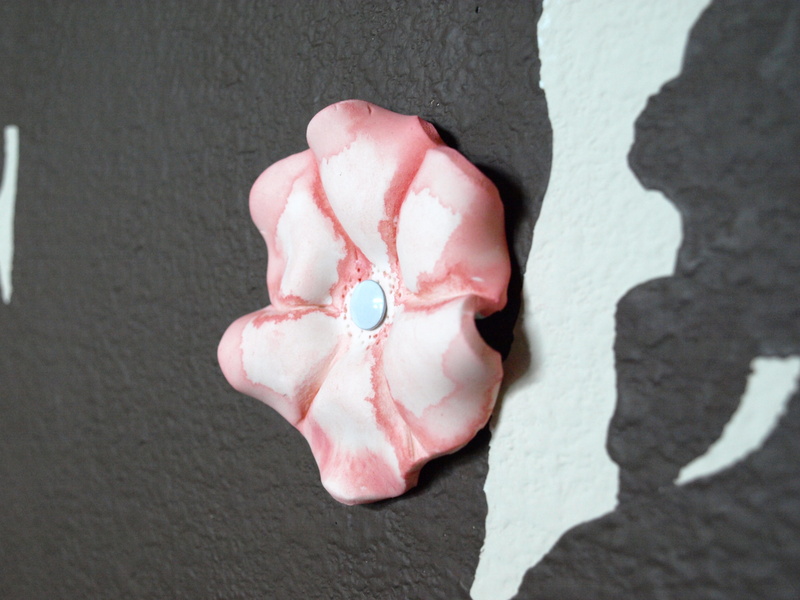 Stick your new flower push-pins into your walls however you feel so inclined! How pretty! Yay! That was FUN! And now I have a million more ideas for this kind of project running through my head!! I hope you liked this tutorial!